Happy Summer to all you music teachers out there! Of course, there’s not a lot of time off with band camps, course development, and other projects. Before I get lost in my own list of summer projects, I thought I’d post about a few things I did over the last few months. The new Stanley Drucker concert collection is finally out! 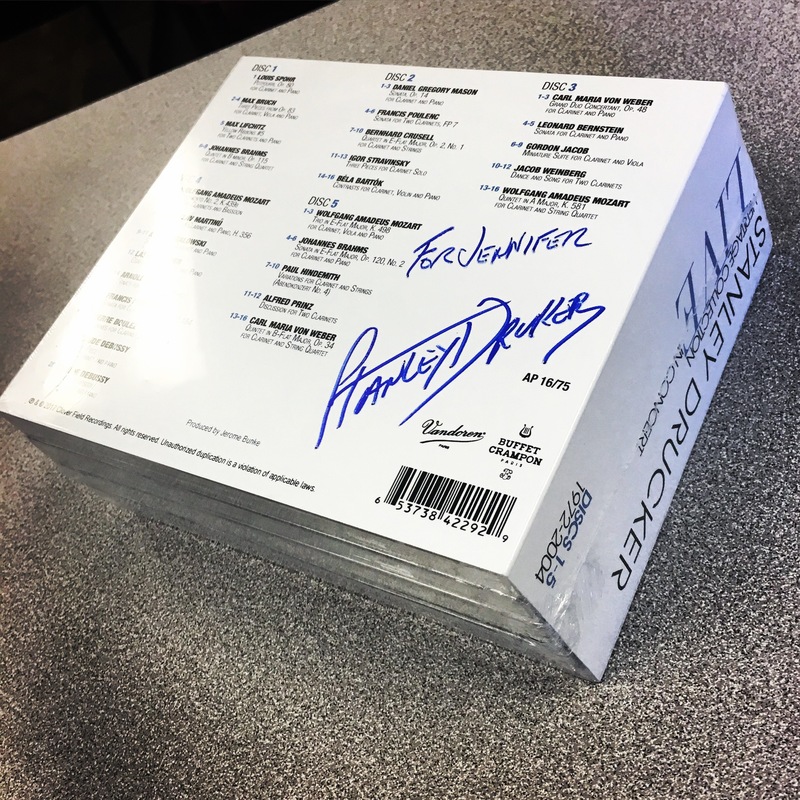 I wrote liner notes for the first disc. 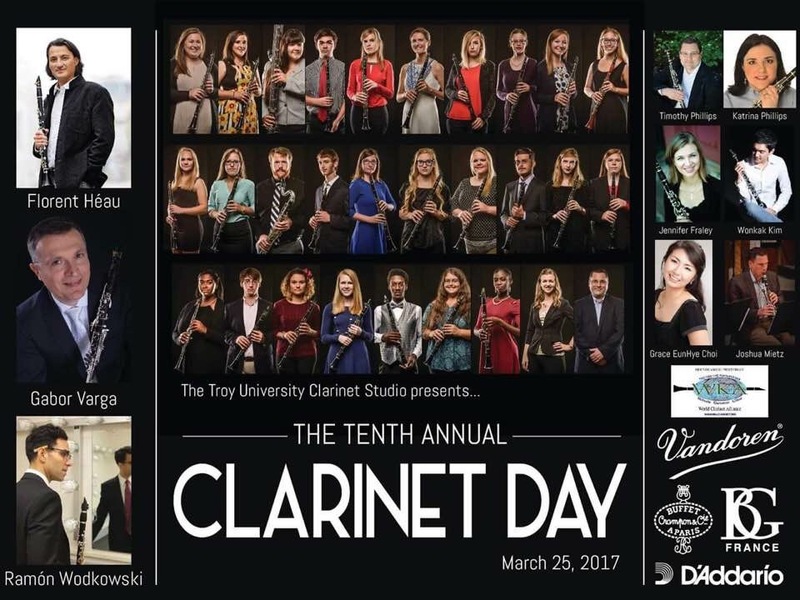 Troy Clarinet Day: This is one of the busiest days of the year, but it is always so worth it! Like always, Dr. Tim Phillips put together a fantastic group of guest artists. 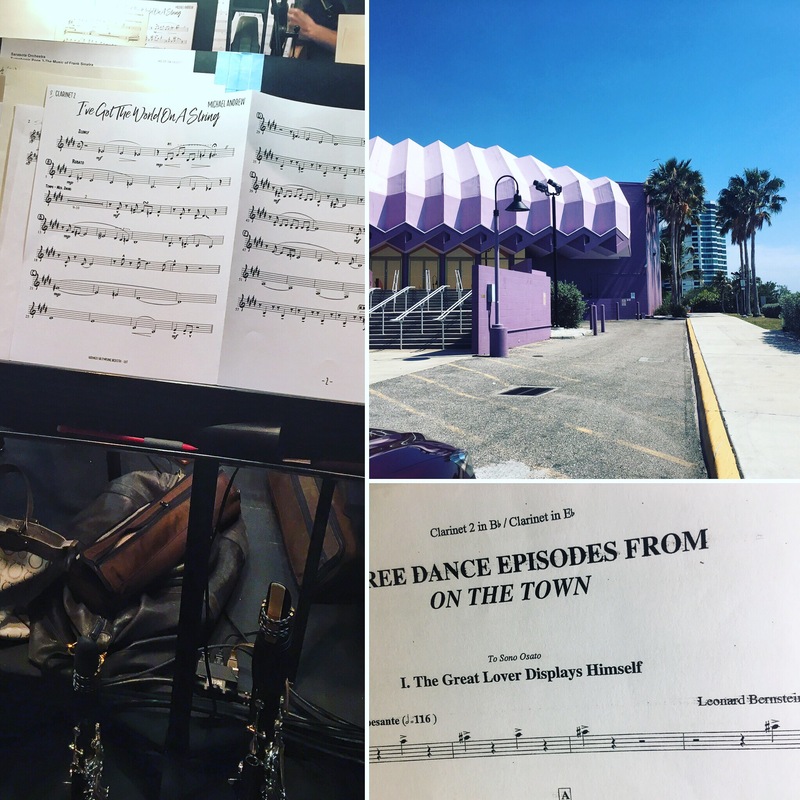 Concert with the Sarasota Orchestra: I got a last minute call to play E-flat clarinet with Sarasota on Bernstein’s On the Town. The orchestra was fantastic! Performances of Battling Boggarts with Tim Phillips, Mark Walker, and the Troy University Symphony Band: We played this piece five times this year! 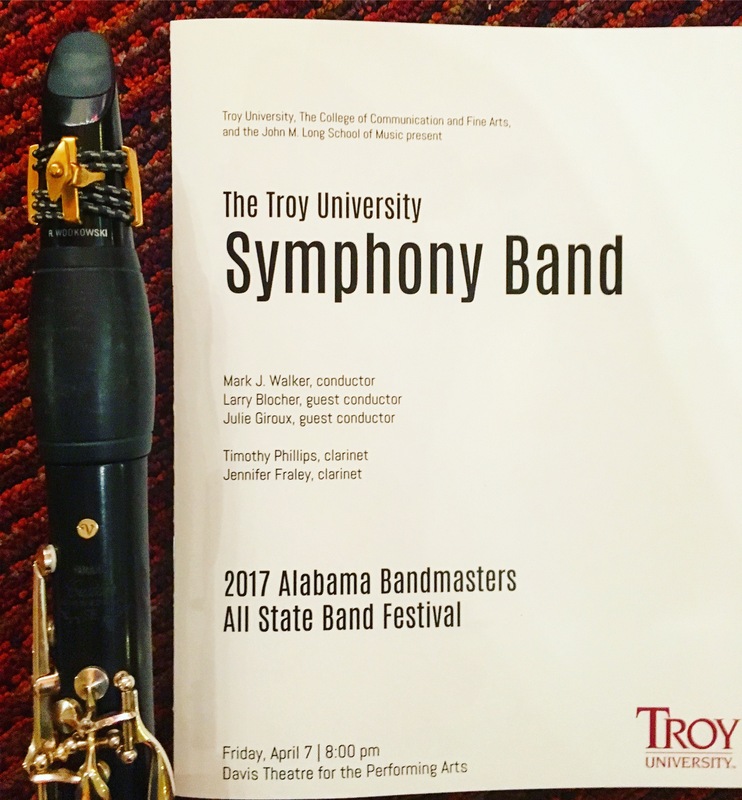 In early April, we performed as a part of Troy’s Alabama All-State showcase concert, and then we played it again several weeks later for concerts at several Florida high schools. Ben and I working on some recording projects! The first piece on my album is recorded! Huge thanks to Brian and Rachel Nozny for engineering and producing. The rest of the album will be recorded later this year. My biggest project for the summer so far has been The E-flat Clarinet Project. This is the beginning of an online resource I’ve been planning since my first year of my doctorate. My treatise research focused on materials to help clarinetists teach and practice E-flat clarinet, and my hope is for this page to assist clarinetists looking for information, repertoire, and general resources related to the instrument. There’s still a lot of work to be done, but I’m pretty excited to finally have a website up and running!